Scottish Parliament debate on register of judicial interests. ON Thursday 09 October 2014, the Scottish Parliament’s main chamber held a detailed ninety minute debate on calls to require judges to declare their significant financial and other interests, as called for in Petition PE1458: Register of Interests for members of Scotland's judiciary. On conclusion of the debate, MSPs overwhelmingly supported motion S4M-11078 - in the name of Public Petitions Convener David Stewart MSP on petition PE1458 and urged the Scottish Government to give further consideration to a register of interests for judges. In a move aimed at widening public awareness of the undisclosed interests of Scotland’s judiciary and details contained in the recent debate by MSPs at Holyrood, each day this week, Diary of Injustice is publishing the official record of the speeches given by individual MSPs who participated in the debate along with video footage. 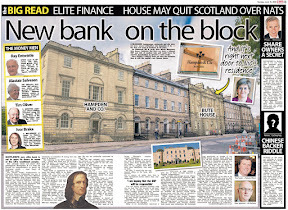 This article is a backdated publication, which includes video footage and the official report of all input from MSPs during the debate held at Holyrood on Thursday 9 October 2014. The debate is opened by David Stewart MSP (Highlands & Islands) (Scottish Labour), Convener of the Scottish Parliament’s Public Petitions Committee, is joined by members of the Public Petitions Committee, Scottish Ministers & other MSPs, and ends with the closing speech given by Chic Brodie MSP, (South Scotland) SNP, Deputy Convener of the Public Petitions Committee. A few short years ago, the Parliament sent me to Johannesburg in South Africa to address a major conference on the role of public petitions. After I did so, a young American professor took the stage. He told the story of President Kennedy visiting the space agency, NASA. During the tour, the president talked to an elderly cleaner who was washing the canteen floor. The cleaner told him that he had worked for NASA since its inception in 1958 and that his job was to put a man on the moon. The Public Petitions Committee does not aspire to put a man on the moon; rather, it aspires to be a window of the Parliament, to be accessible and to go the extra mile for each and every petitioner. There is no magic wand, but we acknowledge our successes, including successful petitions on cancer drugs, pain relief and mesh devices. I welcome the opportunity that has been given to the committee to highlight the issues that Peter Cherbi raises in his petition, which seeks a register of interests for Scotland’s judiciary. I thank all the committee’s members and all those who provided evidence. Mr Cherbi petitioned Parliament seeking the creation of a register of the pecuniary interests of judges bill. His petition was lodged in Parliament at the end of 2012; since then, the committee has been listening to the arguments in favour of and against the proposal. I should say that part of Mr Cherbi’s motivation in introducing the issue was the consideration in New Zealand of a members’ bill by Dr Kennedy Graham of the New Zealand Green Party. I understand that that bill had its origins in the resignation of a former New Zealand Supreme Court judge who was accused of misconduct for allegedly failing to disclose a large debt that he apparently owed to a lawyer who was appearing in a case before him. The committee’s motivation in giving consideration to the issue and in seeking time in the chamber to debate it is a point of principle and comes from the starting point of there being an assumption of openness and transparency in all areas of public life in order to shine a light, if you like, into every corner of Scottish society. The petitioner said that the catalyst for his petition was Scottish media investigations into members of the judiciary here. 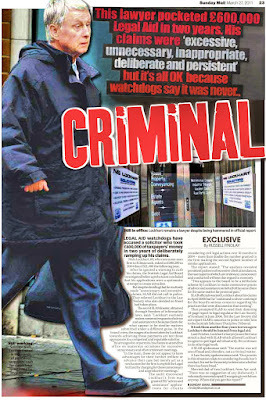 He told the committee that the investigations had revealed a number of criminal charges and convictions. 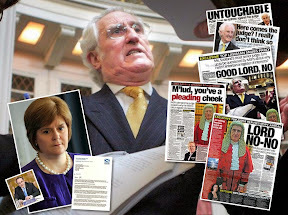 He pointed out that there is now greater public expectation of transparency and accountability across all branches of public life, and that the judiciary has a duty to be accountable to the wider community and should be expected to adhere to the standards that apply to other people in public life, including members of the Scottish Parliament, ministers and members of Parliament. This Parliament prides itself on being open and accessible. That is a cornerstone of the institution, which was developed by our founding fathers from the work of the Scottish Constitutional Convention. Members of the Public Petitions Committee seek to champion that approach across all areas of public life in Scotland. I support an independent judiciary, which is a crucial element in the separation of powers between judiciary and legislature. The committee’s motivation in considering the petition was in no way about interfering with judicial independence. Rather, it was about reflecting on whether reasonable modern-day public expectations about transparency are being met. Prior to the creation of the Supreme Court in 2009, the highest court was the Appellate Committee of the House of Lords. 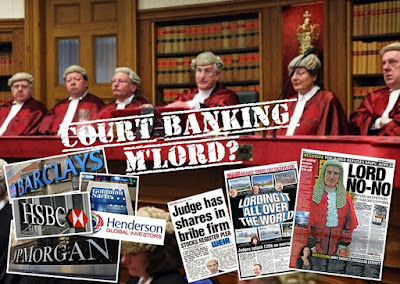 The law lords were bound by the House of Lords disclosure rules, under which financial interests must be declared. There is therefore a precedent in that regard. For the most part, Scotland and its institutions have a good track record of openness and accessibility. In exercising its scrutiny function, this Parliament has worked to bring about improvements in those areas. However, a good track record is not sufficient reason to say that we should not stop and think about what is done and how it might be improved. 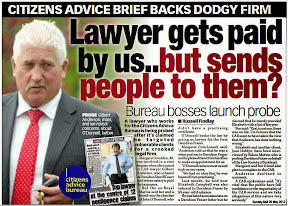 We contacted Dr Graham in New Zealand about his Register of Pecuniary Interests of Judges Bill. He told us that the judiciary in New Zealand is not overly enamoured of the suggestion of a register of interests. I think that that is a fair assessment of the position of the judiciary in Scotland, too. 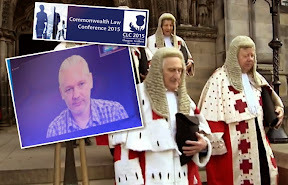 Dr Graham told us that the New Zealand chief justice and president of the Court of Appeal testified before the select committee that was dealing with the bill. 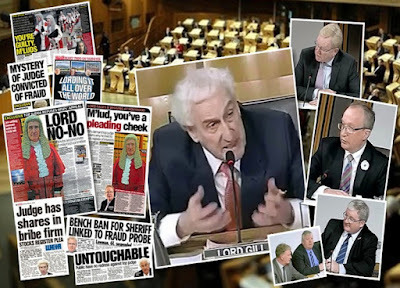 As members might be aware, the Public Petitions Committee invited Lord Gill, the head of Scotland’s judiciary, to come to the committee to give evidence. Lord Gill declined to attend a meeting of the committee. That is, of course, his prerogative, but the committee is on record expressing disappointment about not being able to hear from Lord Gill in person at one of its formal meetings. However, the deputy convener, Chic Brodie, and I met Lord Gill informally in Parliament to discuss the petition, and our discussion was useful. “do right to all manner of people ... without fear or favour, affection or ill will”. The second safeguard is the “Statement of Principles of Judicial Ethics for the Scottish Judiciary”, which was published in 2010 and updated in 2013. The statement provides guidance for judges and draws attention to areas of potential sensitivity. 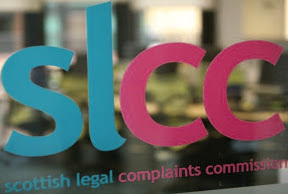 The third safeguard to which we were directed is the Judiciary and Courts (Scotland) Act 2008, which contains provisions to regulate and investigate the conduct of judicial office-holders, and contains rules for dealing with complaints about judicial office-holders. The petitioner has argued that no statistical or analytical information is available that records whether and how frequently declarations of interest are being made. I will come back to that point. The committee received evidence from Moi Ali, who was at that time the Judicial Complaints Reviewer. 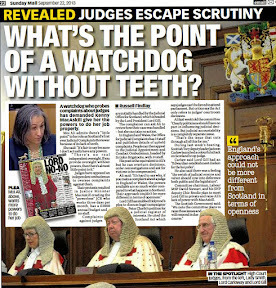 The role was created by the Scottish Government, to review the Judicial Office for Scotland’s handling of investigations into members of the judiciary and ensure that complaints had been dealt with fairly. Ms Ali has since moved on; I wish her well in her current and future roles. The written and oral evidence that she provided to the committee was well thought through and thought-provoking. In many ways, that simple statement goes to heart of the issues that have come up during our consideration of the petition. In Ms Ali’s view, what is required of the judiciary should not be out of line with what is required of others who hold high public office. 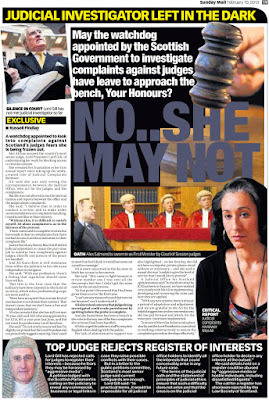 She told us that she had dealt with a complaint about a judge who had allegedly used their position to promote a body that was alleged to have breached international law. In another case, she dealt with a complaint about a sheriff who allegedly participated in a social function that had been organised by a lawyer who had appeared before him at an earlier proof hearing. We did not receive any information about complaints received or considered from the judiciary. A judicial office-holder will recuse him or herself—that is, decline to hear the case—in situations where it is felt that there is a potential conflict of interests. Until recently, there was no published information about when and in what circumstances recusals took place, but after the committee’s interest, I raised the recording of recusals directly with the Lord President. 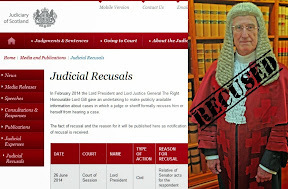 Lord Gill agreed to ensure to ensure that information on recusals is publicly available. Therefore, since April this year, all incidences of recusals and the reasons for them have been published on the judicial website; 14 such incidences have been notified. 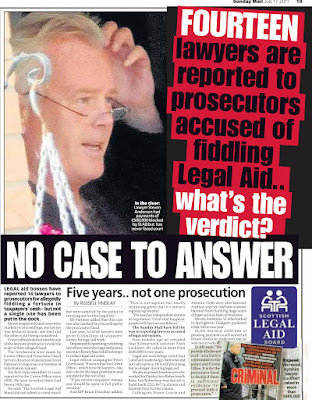 The move to make more information available is welcome—for example, in April at Forfar sheriff court, Sheriff Veal personally knew a witness and correctly recused himself—but some feel that that does not go far enough. The published information relates to instances in which a judicial office-holder has recused. What about the instances—no matter how rare—of a judicial office-holder not being willing to recuse, despite having received representation? I am not clear where someone could get that information. Is it recorded? Is it available publicly? If not, is there a reason for its not being available? I understand that the complaints that the Judicial Complaints Reviewer saw were more about failure to recuse than about the lack of information on the recusals that took place. What recourse does someone have when an allegation of a conflict of interests comes to light after a court case has been heard? If there is no means by which someone is able to check in advance whether there is potential for any conflict of interests, there is likely to be a sense of grievance if something comes to light after a court case has been heard and decided. Could a register of interests avert the need for such complaints by enabling people to make an informed decision to challenge any perception or allegation of conflict of interests at the time, rather than after a case has been decided? On the other hand, the Lord President is concerned that the introduction of a register of interests could have unintended consequences and that consideration must be given to judges’ privacy and freedom from harassment by aggressive media or hostile individuals. Of course, that is right, but would a register of interests increase the risks that judicial office-holders face in that regard? I hope that I have set out some of the questions on which it would be useful for us to reflect. I understand that the New Zealand bill was ultimately withdrawn on the basis that agreement was reached to improve the rules on recusals and conflicts of interests. I am pleased that agreement was reached there and that the issues were discussed openly. I welcome the opportunity to debate the issues that the petition raises and I look forward to hearing colleagues’ views. I move, that the Parliament notes Petition PE1458, in the name of Peter Cherbi, on the issue of a register of interests for members of Scotland’s judiciary; welcomes the petitioner’s efforts to highlight what it considers to be an important matter, and commends the issues raised to the Scottish Government for further consideration. The Minister for Community Safety and Legal Affairs (Roseanna Cunningham):Today’s debate provides an opportunity to consider the issues related to a register of interests for the judiciary—a subject that has been discussed by the Public Petitions Committee over recent months, as the convener, David Stewart, outlined. 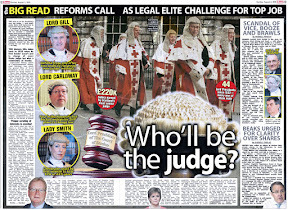 It is, of course, vital that judges be seen to be both independent and impartial. They must be free from prejudice by association or relationship with one of the parties to a litigation. They must be able to demonstrate impartiality by having no vested interest that could affect them in exercising their judicial functions, such as a pecuniary interest or familial interest. As I understand it, the petition originally concerned a register of pecuniary interests for the judiciary. It called on the Scottish Parliament to urge the Scottish Government to create a register of pecuniary interests of judges bill, as was then being considered in New Zealand’s Parliament, or to amend present legislation to require all members of the judiciary in Scotland to submit their interests and hospitality received to a publicly available register of interests. That is a narrower definition of the register than the convener talked about. The Scottish Government considers that it is not necessary to establish a register of judicial interests. Our view is that the safeguards that are currently in place are sufficient to ensure the impartiality of the judiciary in Scotland. Those important safeguards are: the judicial oath, the “Statement of Principles of Judicial Ethics for the Scottish Judiciary”, which was issued by the Judicial Office for Scotland in 2010, and the Judiciary and Courts (Scotland) Act 2008. “Plainly it is not acceptable for a judge to adjudicate upon any matter in which he, or she, or any members of his or her family has a pecuniary interest. Furthermore, he or she should carefully consider whether any litigation depending before him or her may involve the decision of a point of law which itself may affect his or her personal interest in some different context, or that of a member of his or her family”. “any matter concerning the conduct of judicial office holders”. 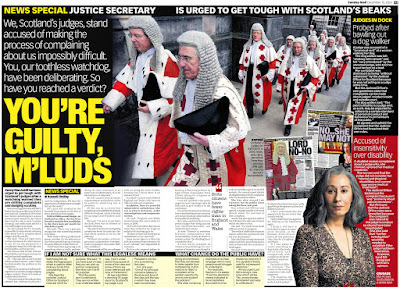 The Complaints about the Judiciary (Scotland) Rules came into force in 2011. There was a consultation on those rules last autumn, responses to which the Lord President has considered, and new rules and accompanying guidance will be published in due course. 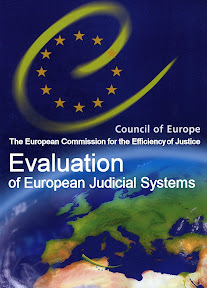 In reaching the conclusion that the introduction of a register of judicial interests would not be appropriate at this time, did the Scottish Government consider and evaluate the Council of Europe group of states against corruption—GRECO—report that looked specifically at that matter? Did that help to inform the Scottish Government’s thinking? We have looked at that report. I will refer to it shortly, if I have the time. In addition, members will be aware that the Scottish Court Service has set up a public register of judicial recusals, which has been in operation since 1 April 2014. David Stewart mentioned it. 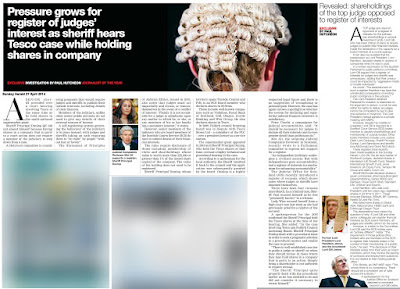 The register sets out why a member of the judiciary has recused himself or herself from hearing a case in which there is a conflict of interests. Although that does not go as far as the petition suggested, we believe that it is a welcome addition to the safeguards that I have already covered. The setting up of a register of judicial interests would be a matter for the Lord President, as head of the judiciary in Scotland. The Lord President takes the view that a register of pecuniary interests for the judiciary is not needed. Furthermore, a judge has a greater duty of disclosure than a register of financial interests could address. GRECO therefore did not recommend the introduction of a register of judicial interests, which suggests that the current safeguards are sufficient and that there is no obvious problem that such a register would solve. If David Stewart will permit me to, I want to move on; I want to get through my speech. I am aware that the petition in question was related to the Register of Pecuniary Interests of Judges Bill in the New Zealand Parliament, which was considered earlier this year by its Justice and Electoral Committee. As David Stewart indicated in his opening remarks, the bill did not proceed. As I understand it, the committee recommended that the bill should not be passed and, following that report, the sponsoring member intended to withdraw it. It is also the case that there is no equivalent register in other parts of the UK. As I have said, we do not think it necessary to establish such a register. The case has not been made that the existing safeguards are not effective. I can only assume that members agree with that, because we completed stage 3 of the Courts Reform (Scotland) Bill on Tuesday. That bill could have been used as a vehicle for legislating for the introduction of a register of judicial interests. I am surprised that an amendment to that effect was not, if members are exercised by the issue, lodged during consideration of the bill. However, today is an opportunity for wider consideration of the issue, and I look forward to hearing what others have to say. I will perhaps return to some of the issues that are raised in my closing remarks. Graeme Pearson (South Scotland) (Lab): I will make some general comments before addressing some of the key issues in the motion. We persistently discuss the need to deliver a fair, just and transparent system, not only of government but of public law and administration. In that context, I welcome the petition from Peter Cherbi to the Public Petitions Committee. I commend, too, David Stewart and the members of his committee for taking seriously the content of the petition and for recommending that we discuss it in public here in the chamber. The petition raises issues that cause concern in the world generally, and which can cause concern to some of our constituents. Many of us will have received comments from constituents displaying reservations about their dealings with the courts and sometimes raising issues. Furthermore, I welcome the opportunity to celebrate publicly the integrity of our judiciary. In my involvement with the judiciary over the years, I have been impressed by the nature of the work that it does and the solemnity with which it approaches its difficult tasks. That said—as was referred to earlier—Moi Ali, the former Judicial Complaints Reviewer, made fairly strident comments in connection with her work. She indicated that she felt that she had no power to make things different and better. It is worth our while to consider for a moment that although Parliament should not always seek to deal with problems that are identified, sometimes it is our duty to deal with the perception that there is a problem in order to ensure that, in the years ahead, we demonstrate fairness and transparency in all that we try to achieve on behalf of citizens. 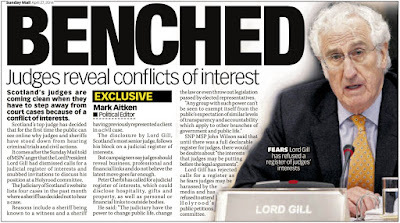 Lord Gill indicated that he saw no point in introducing a register of interests for members of Scotland’s judiciary. He said that he relied on a judge recusing him or herself if they identified a perceived or actual bias. That places extreme pressure on a judge, before the commencement of proceedings, to examine their soul and consider all possible circumstances. Until the petition was discussed, there was no knowledge of recusals in the public domain. I welcome the fact that, as of April this year, the Lord President has introduced a register of recusals. It is fair to say that without the petition and the work of the Public Petitions Committee, such a register would probably not have been considered. Would the member agree that the welcome addition of the register of recusers will help us in the future to understand the nature and scope of the ways in which judges have to stand down? I suspect that it might show us that financial considerations are the least of it. However, until we see the results, that is speculation, and merely a personal opinion. I am sure that the viewpoint that Mr Stevenson has expressed is right. 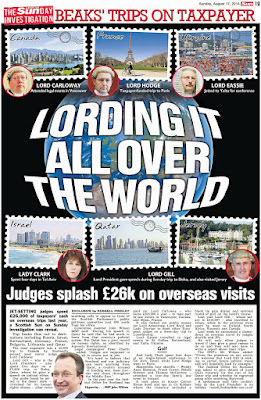 I doubt that financial considerations will figure because, all too often—certainly in the media and the contents of postbags—it is about people’s perceptions of judges belonging to various groups and associations. I would not seek to indicate which groups and associations, because that would merely create heat instead of light. Nevertheless, the perception that those on the bench are in some way influenced by their various connections creates concern among the general public and elements of the press. My approach has always been that it is sometimes better to be up front in those matters and to record things in a register, even although people will lose an element of privacy. I understand the threat that may attach to that in the pressures that judges could face in the future, and wonder whether there is a way in which we could, once we have given some thought to the matter, create a register that would not be used by those who would be vexatious to attack or pursue our judiciary, but would give us confidence that our courts operate for the best outcomes for the future. I look forward to hearing what other members have to say on the subject. Jackson Carlaw (West Scotland) (Con): I found the debate particularly difficult to prepare for—so much so that I have come with nothing to say. I have nothing prepared to say. I thought that I would listen carefully to the arguments that were presented and then comment. I want to deal with the matter in two ways. I want to deal with the issue at hand in the petition and with the way in which the Lord President responded to it. I always thought that the petition was rather curious, as it was based on something that might be going to happen in New Zealand. 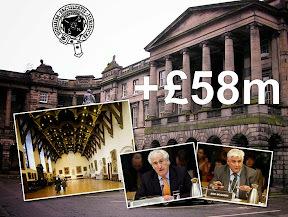 I was never entirely impressed with it, but I thought that, as the issue had been raised, it was perfectly appropriate for the Public Petitions Committee to seek to find out the response of the Scottish Government and the Lord President. I should say that, among my parliamentary colleagues—I will not name anyone—I have been told quite clearly, “We don’t want any of that.” [Laughter.] However, the minister identified quite ably why we should have confidence in the current process and why I am not persuaded that we need a register of interests. There is the judicial oath, there is the statement of principles of judicial ethics and there is the Judiciary and Courts (Scotland) Act 2008. Either we take the view that we appoint the judges and have confidence in the judges whom we appoint, or we do not. I believe that we should. 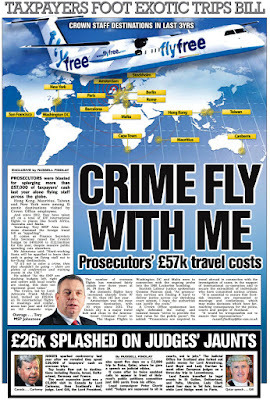 I think that Graeme Pearson hit on the point that we do not want the whole process of law in the court system being delayed because issues have been raised about whether the judge has an interest that might be regarded as meaning that they ought to recuse themselves from the trial and the whole thing becomes bogged down. I am not persuaded by the issue, but I thought that the way in which the consideration of the petition developed was less than satisfactory. “it has long been the case in this country that particular groups are harder to challenge. In the past, one such group was the medical profession. I had a look at the website of the General Medical Council—the regulator of doctors. Although I think that it would have resisted this strongly in the past, it now publishes registers of interests, records family relationships of its council members and so on. I thought that that was quite a powerful argument. The Lord President’s response was essentially, “Get your tanks off my lawn.” It was all very well for the Lord President to send in a written response, but I thought that the best way for him to allow us to explore the issues raised by the petitioner effectively—and, in fact, to give weight to his argument—would have been to have his argument tested by the committee. 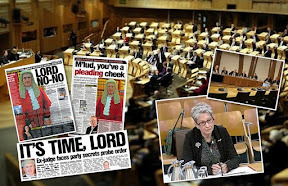 From briefings that I have heard from the Law Society of Scotland, it seems that it does not think that the Public Petitions Committee of this Parliament is a grand enough committee to command the Lord President’s attention. The suggestion seemed to be that if it was a subject committee such as the Justice Committee, that would be fair enough, but all manner of petitions could come forward and the Lord President would have to present himself. That is not the way the Public Petitions Committee conducts itself at all. We thought that the petition made a serious argument that ought to be examined. My colleagues on the committee will speak for themselves, but that is what I think many of them found slightly unsettling and unacceptable. When petitions are lodged that, as Graeme Pearson said, raise the perception of a problem but there is a very cogent argument, which the minister articulated, why there is no need for further action, the best approach is not to suggest private meetings off the record with members of the committee to explore issues within a limited mandate and framework. The appropriate way to proceed would have been for the Lord President to come to the committee and, in a responsible environment, put his case on the record and allow us to test it. In all likelihood, we would have agreed with the principle that he articulated and would have advocated that that is the right approach. However, we were not able to do that, which is why we are having this debate today. That illustrates that, in the modern age, one cannot simply say, “We are part of something that is independent. We are not accountable to the Parliament on these matters and therefore there is no need for us to make a public defence of our argument.” I do not have a problem with the position taken, but I have a big problem with how we have got to the point that we are at today. Angus MacDonald (Falkirk East) (SNP): I welcome the opportunity to contribute to this debate and, not least, to congratulate the petitioner, Peter Cherbi, on being bold enough to bring the petition to the Public Petitions Committee. Not many people are willing to take on the might of the judiciary. 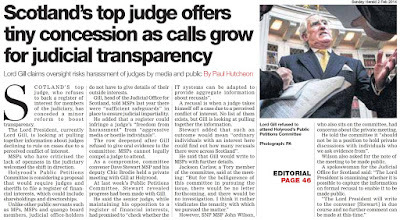 As we have heard, the petition calls for all members of Scotland’s judiciary to be subject to a full and publicly available register of interests. It envisages the creation of a single, independently regulated publicly available source containing current information on judges’ backgrounds and financial interests, details of recusals and any other information that is routinely lodged in registers of interests across all walks of public life in the UK and further afield. 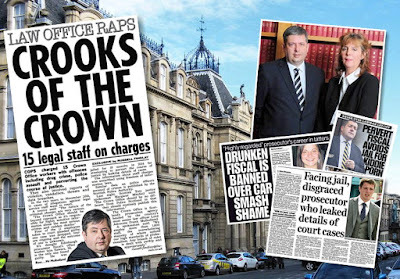 Given that we as elected members and legislators are expected and obliged to declare our interests, I do not see why members of Scotland’s judiciary should be treated any differently. During our deliberations, the committee learned of a similar proposal in New Zealand, which the convener of the committee mentioned. A member’s bill sponsored by Green MP Dr Kennedy Graham was proceeding through the parliamentary process as we were deliberating on the petition. However, I believe that the bill was subsequently withdrawn following agreement with members of the House of Representatives and the New Zealand Government. especially if it showed that the judicial system was above reproach. Any member of the public watching the debate this afternoon would be entitled to ask, “What on earth is wrong with that?” As I have said, I would be inclined to agree with them. However, it would seem that the judiciary is not exactly keen on the idea of such a register. I put on record my disappointment, as the committee as a whole did, at the lack of engagement between the full committee and the Lord President, Lord Gill. Given the spirit of openness and transparency that we in the Parliament so readily hold in high regard, it was a clear snub to the committee when Lord Gill refused to appear in public. If a register of interests is to be resisted by the judiciary, it must be borne in mind that nothing undermines public confidence in a nation’s institutions and procedures more than a suspicion that a public servant may have suffered a conflict of interest arising from, for example, a financial engagement in a particular dealing in which one was professionally involved. I am not suggesting that anything untoward is going on anywhere, but surely, to ensure that no such suggestions can ever be made in future, we must look at creating a system that gives the general public peace of mind. Thankfully, accusations of bias are rare, but situations of perceived bias are not unknown. I stress, in response to Jackson Carlaw’s comments, that the matter before us is not about having confidence in the judiciary but about ensuring that everything is above board. I note the minister’s comment that the current safeguards are sufficient and her observation that no amendments on the subject were lodged in advance of Tuesday’s stage 3 debate on the Courts Reform (Scotland) Bill. However, as the decision is for Lord Gill, an amendment to that bill should not be required. 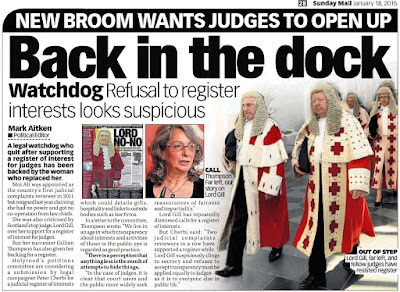 If we as elected members have to register and declare our interests, I see no reason why members of Scotland’s judiciary should not be subject to a full and publicly available register of judicial interests. I once again congratulate Peter Cherbi on bringing the situation to the attention of the Parliament, and I hope that the Scottish Government and the Lord President will reconsider and take the petitioner’s suggestions on board, which would help to allay concerns among the wider public in Scotland. One of the Scottish Parliament’s fundamental values is transparency in government for the benefit of the Scottish people. The petition is an important step towards upholding the simple value of honesty. At its core, the petition calls for the creation of a register of interests for members of the judiciary in order to ensure fairness in our courts. With a register, potential biases can be immediately identified and the potential for a conflict of interest is entirely avoided in bringing cases to court. Such a process would result in simple, fairer and more transparent courts, where the concern of possible bias is no longer a concern. Although I fully support the petition, I believe that we cannot ignore the need for appropriate checks and balances in order to protect the personal information from being used for other, inappropriate purposes. In addition, in seeking to protect the privacy of judicial officials, the register should not be available for use by a member of the public to contact a member of the judiciary. The information that is collected for the register should be provided explicitly for identifying possible bias with the goal of promoting fairness and accountability, and not for violating the privacy of a judge. I have always been committed to promoting transparency and accountability in government, most recently in supporting the lobbying transparency bill, for which my colleague Neil Findlay lodged a proposal for a private member’s bill in 2012. The bill, which attracted support from members on all sides of the Parliament, was a great step forward in the direction of open government. However, more than a year after the Scottish Government said that it would introduce another bill on that subject, we are still waiting for a proposal. Just as the goal for a register of interests is not to scrutinise the judiciary but rather to promote fairness, the goal of Neil Findlay’s bill was not to make it harder for charities to promote good causes but to increase transparency with regard to who is lobbying parliamentary officials. Having worked on Neil Findlay’s bill when it first came before the Public Petitions Committee, I am a keen advocate of its aims. It promotes the simple democratic values of fairness, transparency and accountability. In Scotland, claims continue to emerge of trials that have been unfair as a result of religious, ethnic or national bias. As long as those claims continue to exist, it is the Parliament’s job to promote fair government. In conclusion, I declare my support for the petition and encourage support from all the other MSPs. David Torrance (Kirkcaldy) (SNP): Like others, I would like to take this opportunity to thank Peter Cherbi for submitting the petition in question and the committee clerks for all their work. 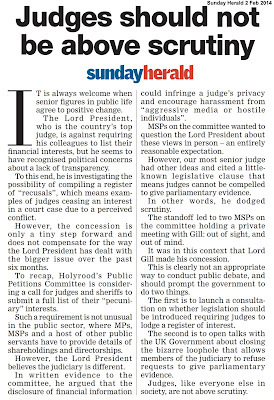 The debate over whether to introduce a register of interests for the judiciary in Scotland is an intriguing one. It is true that there is currently no such register and that alternative arrangements are in place that arguably compensate for that. However, it is also true that registering one’s interests is now commonplace among all high-office public service personnel and that doing so increases transparency and accountability to the people we represent and serve. That is the point on which I would like to focus and is the main reason why I support the petitioner’s call for a register of interests to be introduced. 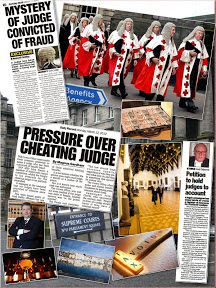 In Scotland, we take great pride in our legal system, and the integrity of our judges and sheriffs is paramount. We place a great deal of trust in our judiciary and things such as the judicial oath, the statement of principles of judicial ethics and the Judiciary and Courts (Scotland) Act 2008 help us to have confidence that that trust is well placed. However, regardless of the level of trust that we have in the judiciary, situations can nevertheless arise that might lead us to question the actions of one of its members and to doubt whether they have acted appropriately when exercising individual discretionary judgement. The committee’s correspondence from the judicial complaints reviewer, Moi Ali, indicates that allegations of judicial bias, albeit unsubstantiated, have been made by members of the public. Implementing a register of interests would certainly reduce the scope for such doubt and would help to ensure maximum public confidence in our judiciary. I am aware that every other category of public servant of high office, MSPs and MPs included, is required to complete a register of interests. That therefore begs the question why the judiciary should be treated as an exception. Exceptions tend to create suspicion, which we should seek to avoid. Completing a register of interests is not an overly arduous task and it is one that, in my view, is worth doing to ensure transparency and accountability in our legal system. I would be surprised if there were many members of the judiciary who did not share that view. I understand that it is currently at the discretion of individuals to decide whether to recuse themselves from a case. Under those circumstances, I can appreciate that judges might be viewed as having too much autonomy over deciding when to recuse. I am pleased to learn that there is now a system in place whereby recusals made by judges and sheriffs are routinely recorded, and that that information is now publicly available via the judiciary of Scotland website. I thank the Lord President for initiating that action. However, although that development has been widely welcomed, I understand that it does not go far enough to address the petitioner’s concerns, as it does not disclose occasions on which a judge decides not to recuse themselves despite the existence of a potential conflict of interest. Although I understand that conflicts of interest are on occasion declared in open court prior to taking on a case, the introduction of a register of interests would provide a more consistent and sound basis on which to move forward. The ultimate priority must be transparency and accountability to the public. It seems to me, after examining the evidence provided to the committee thus far, that there is a strong case for introducing a register of interests with that purpose at its heart. Considering that that is a standard requirement for all others in positions of high public office, I believe that that is the right thing to do. That said, care must be taken to ensure that minimal inconvenience is caused to judicial office-holders in terms of the time and effort taken to complete and update a register, and to alleviate any ill effects that they may be put at risk of by doing so. I look forward to hearing the views of the other speakers in today’s debate, as it is important for us to gain as many perspectives as possible on the issue in order to ensure that a decision is made in the best interests of the public while protecting the privacy of members of our judiciary. Neil Findlay (Lothian) (Lab): The referendum campaign that we have just had has developed in people a new and healthy interest in all things political, which has to be warmly welcomed. However, with that comes increased scrutiny of politicians, political institutions, the decision-making process and those who make decisions on behalf of the people. The public have every right to know what is going on in their name and to hold institutions and people to account for their actions. This particular institution, which claims to be open and accessible and transparent in all that it does and to operate with the values of accountability, openness, power sharing and equal opportunities, has a long way to go until it and the society and institutions that we legislate over can claim to live up to those values. According to the mace in the well of the chamber, we are supposed to operate with wisdom, justice, compassion and integrity, and the proposal that we are discussing is part of a wide range of changes that we need to make if we are to live up to those supportable aims. I fully support the proposal for a register of interests for members of the judiciary. After all, we have the right to know whether those who are involved in determining whether a man or woman loses their freedom have any financial, business, social, political or other relationship that could influence any decision they might make. Currently there is no compulsion to declare such an interest and we rely on what is known as the fair-minded observer test. That, to me, is wholly inadequate. Through history, we have heard allegations of religious, class, financial and political bias or of members of certain organisations being helpful to each other during trials. I can think of many industrial and other disputes that have gone to court where claims of bias and collusion have been made—and, I believe, with justification. That situation has to end, and we should have a register with clear rules that leave no one in any doubt about who and what should be registered. 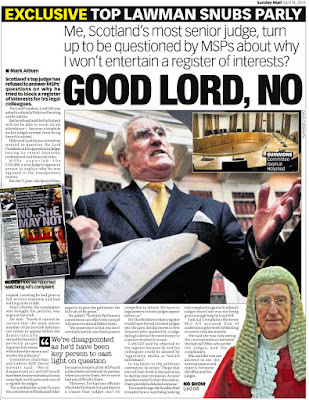 Is it really a surprise to people that the legal establishment does not want such a register, and is it not an outrage that Lord Gill had such contempt for this Parliament that he refused to attend a particular meeting? Does that not make people even more suspicious of his motives? Let me give the chamber some more examples of how our politics maintains its secrecy. When I recently asked a cabinet minister a question about who had advised him on certain key areas of policy, I was told that that information could not be revealed because information about a third party would be provided. We cannot find out, for example, whether people with links to the fracking industry advise the Government on energy or whether people with financial interests in the drugs industry advise the Government on new treatments. Those are very important issues. I am not saying those people are advising the Government but we simply do not know and cannot find out, and I believe that that is fundamentally wrong. What about when the Government appoints people to conduct inquiries or to write reports that are paid for by the public purse? Why are those people picked? Is it because they are experts or particularly knowledgeable in their field, or are there other influencing factors? How are contracts secured and why are they won? Who influences changes in Government policy, and why? The public should, if they wish, have the right to know what is being done in their name. What about the workings of this Parliament? Why do our committees discuss so many issues in private session when there is no reason to? For example, why can we not find out why the Health and Sport Committee refused to invite the former Auditor General for Scotland to give evidence on the budget? Who stopped him coming? Why can we not find out these things? Surely the public have a right to know. As Anne McTaggart pointed out in her speech, 16 months ago the Government said that it was minded to legislate on my proposed lobbying transparency bill. To date, however, no legislation has come forward. Why not? I say to the Government that if that legislation is not in the legislative programme, I will bring my bill back to Parliament and then we will see this Parliament’s commitment to openness and accountability. We need to do much more to make our society less secretive and less closed, and I think that the register that we are discussing is just one step towards that end. I, for one, give it my full support and urge other MSPs to do the same. Joan McAlpine (South Scotland) (SNP): The subject is exactly the sort of matter that the Parliament should debate, and it is testament to the Public Petitions Committee that it has brought the issue to the chamber. I am naturally inclined to support a register of judges’ interests. 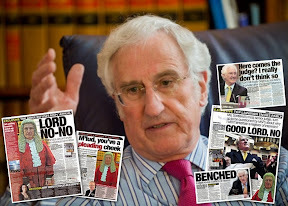 I understand the need to enshrine the independence of the judiciary and I understand Lord Gill’s decision to decline the committee’s invitation because, although that decision understandably drew criticism, one could argue that the judiciary should not be subject to political pressure. 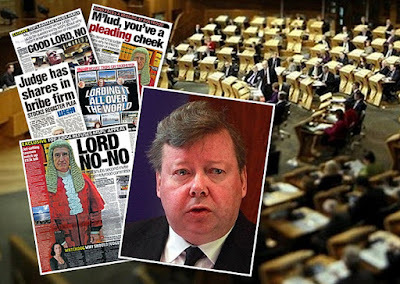 However, I tend to agree with Jackson Carlaw that, in this instance, Lord Gill should have come to the committee to argue his case and to show that the judiciary is not a law unto itself. Does the member share my view that, on one level, there is nothing new about the proposal because, prior to 2009, law lords had to declare an interest, as they were members of the House of Lords? 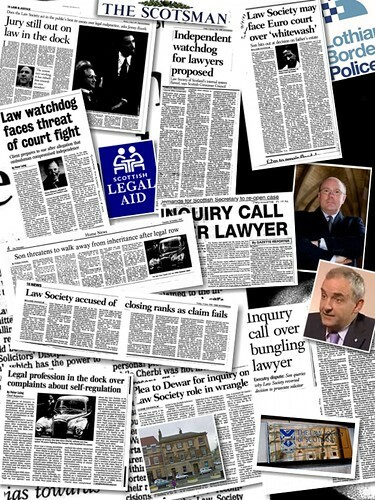 In some senses, we are asking for a reintroduction of something that was well established in Scots law. Yes, I agree—that is a fair point. Perhaps it is because I am a former journalist that I naturally lean towards increased transparency in all areas of public life. The committee convener outlined the need for that in his opening remarks. I take great pride in the fact that there is more transparency in the Scottish Parliament, for example, than there is at Westminster. However, I have considered the safeguards that ministers have outlined today, in particular the judicial oath, which I am sure all our judges take very seriously indeed. I do not think that many members of the public know about the judicial oath or what it entails. I am interested in knowing more about the process that kicks in if someone is suspected of breaking the judicial oath. Has that ever happened and what are the consequences? I thought that that was a fair comment. I do not think that the matter of a register of judges’ interests will disappear. We have seen the progress that is being made here and in New Zealand as a result of the debate being opened up, even though that is short of establishing a register. It is important that all national institutions continue to revise their procedures so that they retain public confidence. It is easy to see how public confidence can be lost if that is not done. 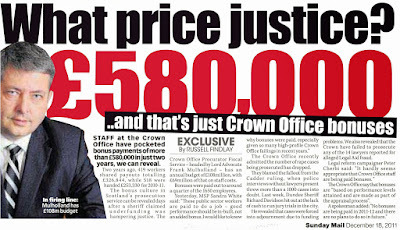 The Westminster Parliament expenses scandal blew up precisely because of a lack of transparency in the system. I recall that there was a belief that, if MPs were completely transparent about what they claimed, that would somehow open them up to too much scrutiny, which would be a bad thing. In the end, MPs really came a cropper because of that. Similarly, the claims of historical child abuse by powerful establishment figures at Westminster and how they may or may not have been dealt with by the authorities at the time surely demonstrate that the way that things were done 30 years ago is not the way that we should do things now. Therefore, I very much hope that the Lord President is paying attention to the debate. I gently suggest to the Lord President, in whose gift it is to set up a register, as we cannot legislate for it in the Parliament, that he should be mindful of the need for the judiciary to move with the times, along with every other public institution, in order to retain the confidence of the public. John Wilson (Central Scotland) (Ind): The petition and today’s debate highlight the important role that the Public Petitions Committee plays in this Parliament. The issue under discussion is an easy and relatively straightforward subject, as many members have said. 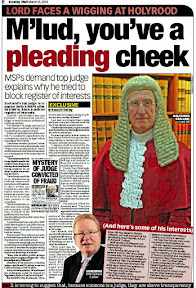 The resistance to having a general register of judicial interests seems, to my mind and to many others, to come from ingrained conservative forces, and I am clearly not talking about Mr Carlaw in this instance. 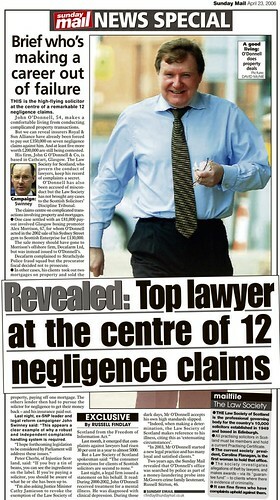 However, his impersonation of one of his colleagues may highlight the conservative nature of the legal profession. The Public Petitions Committee has attempted to engage in a positive manner with all those identified by the petition. The same cannot be said of all those who have had an input on the public record. 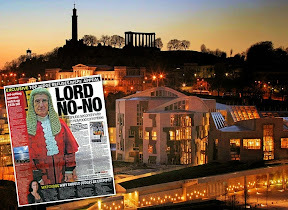 The Lord President, Lord Gill, declined to accept the committee’s invitation to give evidence in respect of the petition on the ground of “constitutional principle”, with particular reference to section 23(7) of the Scotland Act 1998. Although that might be considered by some to be a reasonable response, it is undermined by the fact that Lord Gill has appeared before other committees of this Parliament. In principle, there is good practice taking place in Scotland. Elected members such as councillors and members of this Parliament have to make undertakings in their own registers of interests, so why there is a lack of positive engagement is essentially a mystery to me, especially as the then Judicial Complaints Reviewer, Ms Moi Ali, supported the petition both in correspondence and in excellent oral evidence to the Public Petitions Committee. 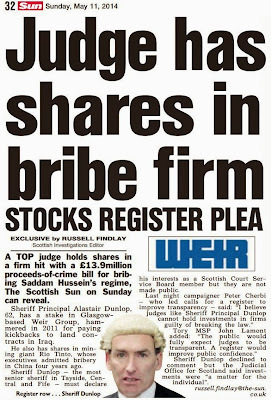 We already know, because it has been reported widely, that arrangements to publish details of the shareholdings of those on the Scottish Court Service board are in place, and I welcome the information that was discussed earlier relating to recusal by sheriffs and judges in cases on which they have decided that they cannot sit in judgment. Clearly, we must ask why we cannot have a register. 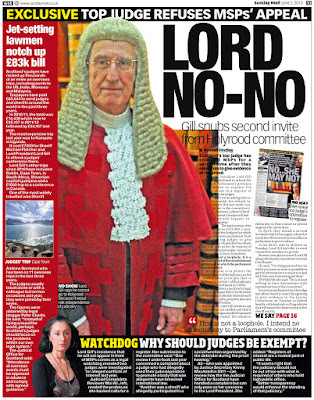 No doubt the associated media coverage of Lord Gill’s non-appearance at the Public Petitions Committee has led to him being given the title of Lord No-No. That is not something that I particularly welcome, although, quite frankly, it seems to have a degree of merit for an individual who spent six days in Qatar to give a speech about transparency and judicial regulation that lasted one hour, but who could not find the courtesy to accept an invitation from a mandatory committee of this Parliament. I welcome the opportunity to raise awareness of the petition and of the petitioner’s work in relation to it, which could be dismissed by some unkind types as a boring constitutional matter. However, as others have said in today’s debate, linking it to registers of interest in other areas clearly highlights the work that the Parliament must do to ensure that everyone, no matter who the public are dealing with, is held in high regard. A register of interests for judges is an area in which we could move forward and build more confidence in the system that we have in place. 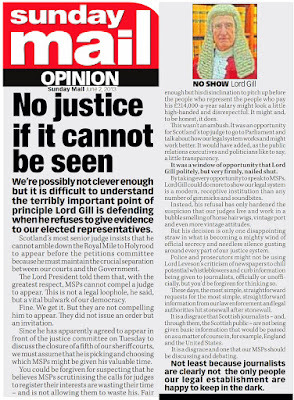 Lord Gill should reread his own words and reflect on that speech, and maybe he could give the same speech in Scotland and bring the judicial system up to a standard that we would all like it to hold. The petition clearly highlights the work of the Public Petitions Committee, and I look forward to more challenging petitions being heard by the committee and debated in the chamber. Stewart Stevenson (Banffshire and Buchan Coast) (SNP): I congratulate Peter Cherbi on his petition. Whatever position we take on its substance, it is opportune to debate the issues around it because, far from being trivial matters of process, they go to the very heart of trust in the justice system. For the record, I am speaking in the debate not, in any sense, as the convener of the Standards, Procedures and Public Appointments Committee but as an individual member of the Parliament. It was with grave misgivings that I heard Jackson Carlaw introduce his speech by saying that he really had nothing to say. I wondered whether the debate was going to turn out to be one of those real political debates that are over not when everything has been said but when everybody has said it. However, so far, every member has made an individual contribution, which is very good. I intervened on Graeme Pearson for a particular reason. I tried to consider when my entry in the members’ register of interests has come into play. I put many things into it voluntarily, as many of us do, because I think that even though I am not required to mention them, they are things that might matter. For example, I have declared a shareholding in a major bank voluntarily, although it is below the level that requires to be registered, as that touches on lots of things. When we talk about the interests and connections that a judge might have that would cause recusal, I suspect—but cannot prove at this stage—that finance would be the least of them. I would guess that such interests will almost certainly be relationships, membership of clubs and attendance at events. As always, the member is correct. The 14 recusals so far have been, by and large, about relationships—in other words, a sheriff knows a witness. The member is right to suggest that there have been very few financial issues involved in those 14 recusals. I am obliged for that. I did not know that, but the committee convener has put flesh on the bones of my assumption. We will see how it pans out when there are more recusals. Of necessity, we cannot anticipate and put in a register everything of that character that will come up, or our whole lives would have to be on the register. I have been pursuing genealogical research into my family tree for more than 50 years and have 4,600 people in my family tree. How could I put them all on the register meaningfully? We must be careful, therefore, not to imagine that this is the silver bullet. I want to cover one or two things. If possible, I will come back to Mr Wilson. “That no Writer to the Signet be capable to be admitted a Lord of the Session unless he undergo a private and public Trial on the Civil Law before the Faculty of Advocates and be found by them qualified for the said Office”. Worrying about whom we appoint as judges is not new. That takes us to the heart of the matter. The Romans had a saying: “Quis custodiet ipsos custodes?”—who will guard the guards? If judges misbehave or do not come up to the required standard, how do we deal with that? Inevitably, there must be a judicial process exercised by whomsoever grips that one. We have to appoint the right people, because I do not think that we can prescribe and describe all the circumstances that may touch on their ability to make decisions. That is not to say that having a register of financial interests would be without value; I just do not want colleagues to imagine that it would really do much more than scratch the surface of the issue. We all have interests. The Cabinet Secretary for Finance, Employment and Sustainable Growth set out a budget today. Will he buy a house in the future and, therefore, be affected by the decisions that he has brought to Parliament on taxing transactions on housing? The answer is, of course, yes. The real test is whether he is doing anything that does other than affect the generality of people—he must not instead do things that affect him or a particular group of which he is a member. That is the kind of test that judges must have in their mind at all times. The Deputy Presiding Officer (John Scott): Yes—you must close now. The Deputy Presiding Officer: You really must close. Stewart Stevenson: —keep their sources secret. Therefore, not everything can be in the public domain. Ultimately, we have to choose the right people. We have to trust them, and we have to treat them extremely harshly if that trust is not fulfilled. Jackson Carlaw: I will deal with the contributions that have been made to what has been an interesting debate. 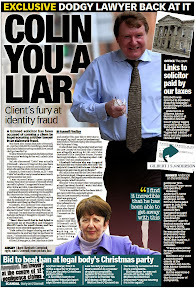 Angus MacDonald said that Lord Gill had delivered a snub to the Public Petitions Committee. I think that what he did was more of a snub to the Scottish people. The committee is the Public Petitions Committee of the Parliament. The whole point of it is to allow the petitions that are raised by members of the public to receive a proper airing, and for the arguments to be tested. In a sense, we were not able to test the arguments of the Lord President, because he would not engage. John Wilson is absolutely right. I have here a copy of the 16-page speech that the Lord President gave in Qatar, incorporating the very issues that we addressed. Had the committee known, we could have applied to the parliamentary authorities to go to Qatar to hear the speech in person and tackle the Lord President there. If he did not come to the committee, the committee could have gone to him. 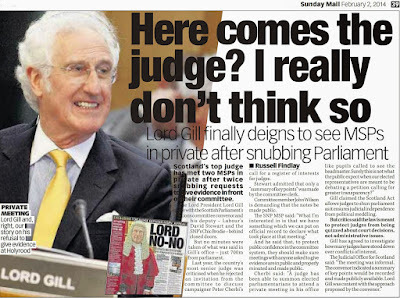 I wonder if Lord Gill has reflected on his non-appearance and on how he feels when someone does not turn up to his court. I shall not stray there, although I am tempted. Anne McTaggart articulated, as a number of members did, why there is a perfectly balanced argument in favour of a register. David Torrance talked, too, about how they are commonplace. He went on to touch on the subject of the register of recusals, which David Stewart also mentioned. That arose as a result of informal conversations that David Stewart and the committee’s deputy convener had with the Lord President. For that, I suppose that we must be grateful. David Torrance said, however, that the register does not meet the petitioner’s concerns. I would say to him that the job of the Public Petitions Committee is not necessarily to uphold the petition or the petitioner’s concerns; it is to evaluate the evidence underpinning a petition and then to form a judgment. Again, we have been slightly prevented from our obligations in that respect. Neil Findlay spoke about the perception of transparency, and he listed various things. Therein lies some of my concern. Were it the case that judges had to register their religion, and if that was thought by people who were appearing before a judge to be a reason to suggest that there might not be impartiality in the proceedings, we would paralyse the court system with endless reasons to object to the appointment of any particular judge. I hope that she will not find it inexcusable of me, but I found that I agreed almost entirely with the points that Joan McAlpine made in her speech. She talked about the letter that Lord Gill presented, which discussed the practicalities and consequential issues. The consequential issues that he identified were the perfectly legitimate counterargument to the natural assumption that, in the modern age, there should be a register. I again say that, had Lord Gill subjected his reasons to the open test of committee discussion, which would have been perfectly friendly and informed, they would, most likely, have persuaded the committee that, on balance, they represented the correct position. John Wilson referred to my doing an impression of one of my colleagues. He might suggest that I did that, but I could not possibly recognise it as such. Stewart Stevenson spoke about the modern argument in all this but then, to my astonishment, I heard this Roman—whoever it was from all those years ago—being quoted for a second day in a row in the Parliament. It was exactly the same quotation. That somewhat brought back the fact that nothing is modern and everything is timeless when we are dealing with such judgments and issues. I am not, on balance, persuaded that a register is necessary. I refer back to the safeguards that exist. Mind you, I would point out that we, too, swear an oath, but we nonetheless still subscribe to a register. There is a balance, but that balance, that argument and that judgment are much more likely reliably to stand the test of public scrutiny if they are subject to proper public debate, and I feel that we are having this debate today because we have not been able to provide that. Elaine Murray (Dumfriesshire) (Lab): I assure members that this will be the last time that they have to hear from me this week, which I am sure is a relief to everybody. The Public Petitions Committee is to be congratulated on its tenacity in pursuing the petition, because obstacles were put in its way and the committee continued to pursue the petition over a substantial period of time. I was completely unaware until the debate was scheduled that members of the judiciary are not required to publish a register of their interests. If I had been aware of that earlier, I might have added it to my list of unsuccessful amendments to the Courts Reform (Scotland) Bill. I am sure, had I done so, that the minister would have informed me—as Angus MacDonald said—that it was a matter for the Lord President and not for the bill. Dave Stewart, Roseanna Cunningham and others have reminded us that there are three safeguards—the judicial oath, the statement of principles of judicial ethics and the complaints procedure—and that members of the judiciary can recuse themselves from a case. “Recuse” is another word that I have added to my vocabulary since joining the Justice Committee. I do not know whether I will have any reason to use it other than about the judiciary, but they are able to recuse themselves and that information is being published as of April. As others have said, as that publication of reasons for recusal is added to, we may get more of an idea about why judges recuse themselves. David Torrance and others drew a parallel with members of this Parliament. As Jackson Carlaw said, we are required to take an oath or affirmation, we have a code of conduct and complaints about us can be investigated by the Standards, Procedures and Public Appointments Committee. I do not think that any of us believe that those three safeguards would be sufficient to ensure public confidence, and that is what is important. We are required to update our register of interests and to declare gifts and whether we employ close relatives. We are also required to register any new interests within 28 days of those interests arising. As Joan McAlpine said, it might be a bit of a hassle, but we all recognise why it is important that we are required to do so. The minister suggests that we are required to do so because we are accountable to the public but, as Neil Findlay said, the issue is about the scrutiny of decision-making institutions whose decisions can seriously affect members of the public. When we consider it in that context, a register of interests for the judiciary becomes more important. Local councils are also required to maintain an updated register of interests of councillors. I do not know how all councils operate that but when a councillor in Dumfries and Galloway has a registered interest in part of the business of a meeting, they cannot even attend that part of the meeting, still less take part in discussions. They are not even allowed to sit there glaring at their fellow councillors; they have to leave the room. I do not think that any elected member resents those requirements on us. It seems absolutely right that there is transparency—an issue that Anne McTaggart raised. It is very important that any personal or financial interests that might possibly affect our decisions are published and that they can be easily accessed by the public so that they can check on them. The register of members’ interests is online so it is easy for the public to check whether we have any particular interests. As was drawn out in the committee discussions, it is not just politicians who are required to register their interests; members of boards of public agencies such as the Scottish Police Authority and the Scottish Ambulance Service are also required to register their interests. 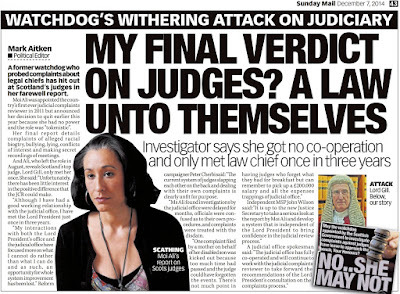 In fact, three judges sit on the board of the Scottish Court Service and their interests have to be registered, so, in a sense, that begs the question, why not others? As Dave Stewart pointed out, members of the House of Lords have to register their interests and therefore, prior to the installation of the Supreme Court, the law lords were expected to publish their interests, so why must the situation differ for judges? 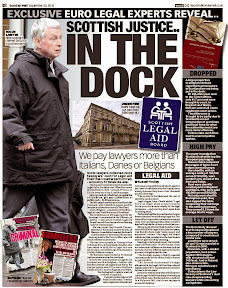 I realise that there may be security issues around litigants who are unhappy about judgments. However, a register could surely be drawn up in such a way as to protect certain information. To a certain extent, we are protected. We may have constituents who do not much like us or who are upset about what we have done or not done in pursuance of their cases, but there are safeguards in our register and they cannot necessarily find out where we stay and that sort of thing. Surely we would be able to do the same sort of thing for judges. 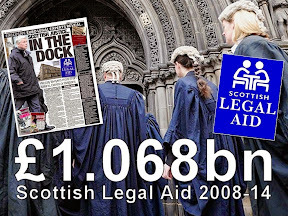 It is the case, of course, that the judiciary of Scotland are a small band of people and many of them originate from the same strata of society. People are suspicious of the old school tie, who people’s friends and family are and financial relationships. Also, as other members have said, membership of certain organisations can be suspected of being influential. The more that such information is in the public domain, the more people can be assured that such matters do not affect how judgments are made. Therefore, the issue is not that anyone doubts the judiciary’s integrity, but that the public need to see that integrity. 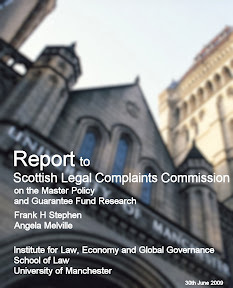 Roseanna Cunningham: The debate has given us the opportunity to discuss issues around transparency and conflicts of interest and whether a register of judicial interests would address those matters. However, I sense that much of the debate has been about the process. Members will forgive me if I do not get too drawn into that aspect of the discussion—it is not really for me to intervene in committee procedures or the calling of witnesses. I am sure that if concerns are expressed about that they might be taken up in another place. The debate also ranged rather more widely than the motion might have otherwise suggested. That is understandable. We have heard differing views expressed about the need for a register of judicial interests. As I said, some contributions went very widely, indeed. An exchange of views is always welcome. We all recognise the importance of the need to ensure judicial independence, accountability and transparency. However, as I said in my opening remarks, key safeguards are already in place to ensure the judiciary’s independence and accountability. To repeat, those important safeguards are the judicial oath; the “Statement of Principles of Judicial Ethics for the Scottish Judiciary”, which was issued by the Judicial Office for Scotland in 2010; and the Judiciary and Courts (Scotland) Act 2008.The debate has given us the opportunity to put on the record that those safeguards exist. We have seen from the debate that, if the Lord President was to introduce a register, a wide breadth of interests may need to be declared. As raised by a number of members, including Stewart Stevenson and Graeme Pearson, material relationships may in many cases be more relevant than pecuniary interests. I think that I am right in saying that it was David Stewart who described a situation whereby a judge had to recuse himself because he had been at the same social event as one of the key lawyers in the case. I do not want to misrepresent what he said, but that is my recollection; what he said was along those lines. Frankly, if we took that approach too far, either we would have to cloister judges permanently or no cases would ever be heard, because the way in which our social relationships work in Scotland makes it almost possible to avoid that happening on a number of occasions. I understand the minister’s point, but will she say something about the point that I have made a couple of times that we are not discussing a new issue? Before the Supreme Court, law lords registered their interests day and daily for generations. The assumption is that all this is new; the issue is not at all new. Perhaps the member will allow me to get into my speech, because I want to return to that point. We have also heard that the Lord President is taking action to increase transparency. 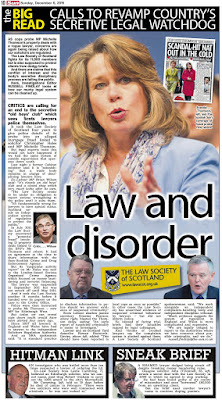 The register of judicial recusals recently set up by the Scottish Court Service is an excellent example of that. Over time, that will give us a better understanding of how that process works. A point that no member has raised is that, if publicly criticised or attacked, a judicial office-holder cannot publicly defend him or herself, unlike a politician. We have the opportunity to respond to criticism; a judge would not. They do not have the same right of reply as we have. I must ask what would be included on a register. If we are agreed that it is far less likely to be financial interests that create problems, the register would somehow have to encompass social, familiar and other relationships. A register that included those relationships would be difficult to compile. Family trees, friendships and all sorts of organisations and affiliations would have to be included. Neil Findlay seemed to suggest that even religious affiliation should be included. How on earth would one know in advance what might cause a problem in a case that was as yet unseen? It is interesting that all members who have spoken have avoided making reference to a register in anything other than very general terms, although it is clear that it is assumed that any declaration would go beyond financial interests. I have set out some of the issues that would arise if such a register were given closer consideration. 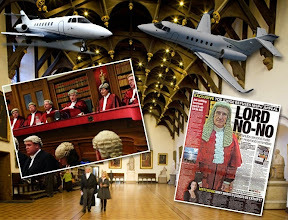 I return to David Stewart’s point about the situation in the House of Lords prior to the creation of the United Kingdom Supreme Court. As I understand it, declarations were confined to financial interests and there was not the kind of register that members have discussed this afternoon. Furthermore, when the Supreme Court was set up in 2009, it was decided that the financial register would not be continued. Instead, a code of judicial conduct was drawn up. The register to which David Stewart referred was not analogous to the register that members have been discussing. We should understand that. We should also take heed of the outcome of the report of the Council of Europe group of states against corruption—GRECO. I reiterate that that is an important objective assessment of where we are in relation to the judiciary in Scotland and the United Kingdom. I am aware that other people take a different view on the need for a register. The former Judicial Complaints Reviewer thought that a register would increase transparency and public trust. As I said, it would be for the Lord President to establish a register of interests, in his capacity as head of the Scottish judiciary. However, the Government does not consider that there is currently evidence that the existing safeguards are not effective. We do not consider that a register is necessary. Indeed, some of the issues that members have raised point us to how difficult it might be to compile the kind of register that people think might be appropriate. A number of members referred to the register of interests of MSPs. However, the situation is different, because we are directly accountable to the electorate. That is why the register exists—and we are not required to declare religious affiliation, our circles of friends and relatives, and all the social relationships that can give rise to some of the suspicions in respect of judges. I regret that I must ask you to close. The debate has presented an opportunity to consider all the issues. I assure members that we will continue to keep the issues under review. However, our current position is that a register is not necessary. Chic Brodie (South Scotland) (SNP): This has been an interesting and necessary debate, as Joan McAlpine pointed out. I anticipated that it would be. I make it clear that the intention of the petition—and the debate—was not to impugn the independence, integrity or credibility of the judiciary. Indeed, the very opposite has been clear from members’ speeches. Members talked about openness and transparency. They talked about perceptions, clarity and trust, and the need for change. Their comments reflected concerns of members of the Public Petitions Committee. As members said, the debate arose from the petition that Peter Cherbi lodged, which called for a register of interests for members of Scotland’s judiciary. The petition called for a register of pecuniary interests, and it suggested amending legislation so that declarations could be made in relation to general interests and hospitality. “a judge of any court”. 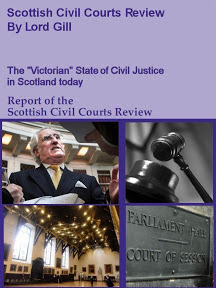 From reading the Hansard of debates on the Scotland Bill, it seems that there was little debate about the rationale for exempting the judiciary, although the current Advocate General for Scotland suggested at the time that the Parliament should be able to compel witnesses to attend and produce documents. The provision was intended to protect the judiciary’s position in the constitution. 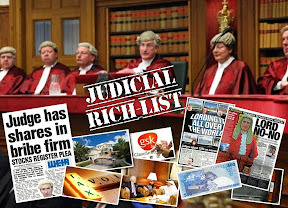 The impartiality of the judiciary in Scotland would be secured, and in the event of a potential conflict of interest a judge would necessarily recuse himself or herself from a case. Of course, that relies on the judge himself to determine whether he has relevant interests, but the approach tends to cover all relationships, in the way that the minister described, rather than just monetary and hospitality considerations. There are some safeguards to ensure judicial impartiality, which might mitigate and temper suggestions of impropriety by members of the judiciary because of a lack of transparency regarding their interests, particularly pecuniary interests. “do right to all manner of people … without fear or favour”. There is also the Judiciary and Courts (Scotland) Act 2008, which sets out the rules that may be invoked if it is felt that a judicial office-holder is not acting impartially. Section 28 of that act allows the Lord President to make rules for the investigation of complaints about the judiciary, a matter to which I hope to return briefly. Thirdly, there is the “Statement of Principles of Judicial Ethics for the Scottish Judiciary”, which was revised in May 2013 and is to be used as a guide for holders of judicial office in Scotland. Enshrined in that document is, perhaps, the basis of the petition and of an understandable perception—or, indeed, misperception—that underpins the petition and gives rise to concern. That, in itself, is okay but openness and transparency of information would eliminate some of the misperceptions that matter. “element of corruption in relation to judges”. However, one might argue that that was not the charge; rather, it was that a register might secure the transparency that would make the group’s evaluations redundant. The petition raised and raises several questions, none of which requires a defensive posture. For example, the board members of the Scottish Court Service, three of whom are judges, already declare some interests in the SCS annual report. We also understand that the SCS staff are required to register all of their interests. I fail to understand why that cannot be extended to cover the whole of the judiciary. 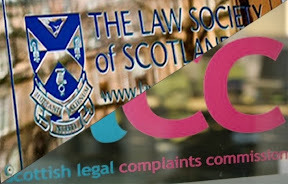 The Judiciary and Courts (Scotland) Act 2008 set up the role of the Judicial Complaints Reviewer to review the handling of investigations into the conduct of the judiciary. The previous holder of that role—a role that should be much more robust and recognised as important—indicated that, in the interest of general transparency, a register of interests for the judiciary would likely lead to an increase in public confidence and trust—two of the words that I mentioned at the beginning of my speech. The practice extends not only to the SCS but to the Crown Office and Procurator Fiscal Service, which operates a register of hospitality interests, and to the Scottish Legal Complaints Commission, which publishes a full register of interests and hospitality. We accept that the petition called for a register of pecuniary interests. 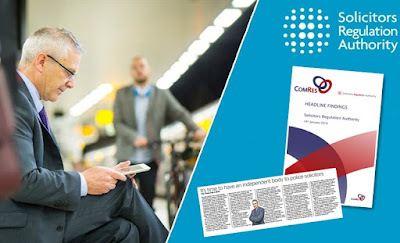 It recognised that we would not need to try to capture all of the other concerns that might arise, as the minister said—for example, family relationships—so we accept that it might be impossible to capture all interests that might arise or cause concern. The onus should, rightly, be on the judge or sheriff to declare any relationship interests at the beginning of a case and to recuse appropriately if necessary. There is concern that a register would have unintended consequences—a phrase that has been used often in the debate—for the judiciary’s freedom and privacy and its freedom from harassment from the media or dissatisfied litigants. Those are concerns, but they are no less so for others in public life, including MPs and MSPs, who may be attacked publicly for non-declaration of interests. Although it is argued that the establishment of a register may have the unintended consequence of eroding public confidence in the judiciary, it might equally be argued that its absence might have the same effect. I congratulate Peter Cherbi, the petitioner. I welcome the exchange that we had with the Lord President on the issue, although I wish that it had been in front of all the committee. I suspect that the issue will still be a topic for review and will be, as Stewart Stevenson said, recalibrated. Perhaps the snub to the Scottish people will be recovered. I am glad that we have had the opportunity to discuss and debate the matter meaningfully. There is one question to be put as a result of today’s business. The question is, that motion S4M-11078, in the name of David Stewart, on petition PE1458 on a register of interests for members of Scotland’s judiciary, be agreed to. That the Parliament notes Petition PE1458, in the name of Peter Cherbi, on the issue of a register of interests for members of Scotland’s judiciary; welcomes the petitioner’s efforts to highlight what it considers to be an important matter, and commends the issues raised to the Scottish Government for further consideration.